Have your cylinders been failing prematurely? You’re probably getting pretty tired of the expense and hassle of frequent repairs. At Bernell Hydraulics, we feel your pain. We are here to help you figure out a solution that will put an end to unreliable, failure-prone equipment. We can do much more than just sell you a better product, such as Oilgear hydraulic cylinders in Chino CA. We can also provide expert troubleshooting to help figure out why your system has been having cylinder trouble in the first place, and how to prevent these problems from recurring. State of the Art Manufacturing: When you buy Oilgear hydraulic cylinders, you’re getting a product that was manufactured to a high standard right here in the USA using state of the art CNC machining and automated welding equipment. Rigorous Quality Control: Because they know their cylinders are destined for big equipment where a parts failure could cause big damages, Oilgear tests all cylinders carefully before selling them. The company’s on-site testing capabilities accommodate cylinders up to 30 inches across and 64 feet long extended. Serious Performance: You can rest assured your Oilgear hydraulic cylinders in Chino CA will deliver the high level of performance and reliability you need on the job site. Of course, you will only be getting all these benefits if you actually receive a genuine Oilgear part. But when you buy your Oilgear hydraulic cylinders in Chino CA from Bernell Hydraulics, you have our word that your order will contain only authentic parts matching your exact specs. 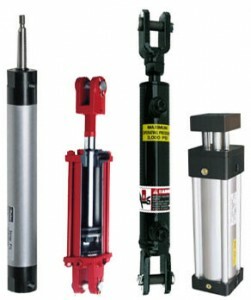 Questions about Oilgear hydraulic cylinders in Chino CA? Our staff can help. Call us at 800-326-7252.